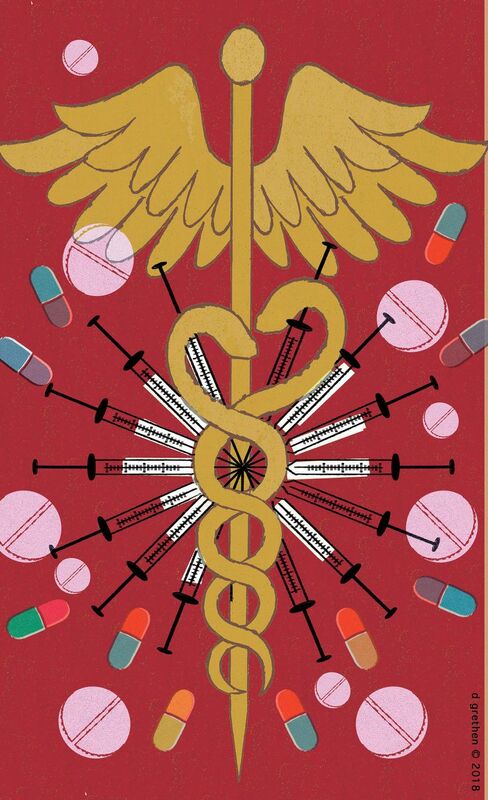 Cure America's medical-system disparities with single-payer system. My third patient of the afternoon was a smiling 43-year-old woman with a painful lump in her right wrist. She works as a medical assistant at a Seattle hospital. Her wrist pain started three days earlier, after a long day lifting and transporting patients. I diagnosed her with bursitis. I typically would have sent her home with conservative treatment – splinting, rest and anti-inflammatory medications. But I was concerned that she would struggle financially with co-pays for this visit and follow-ups. I helped my patient open a state Department of Labor and Industries claim for a work-related injury to help her pay for care, since L&I involves no co-payments or deductibles. However, to qualify , she would have to jump through multiple hoops, including complex forms in English (her second language) and meetings with her employer. Her story is emblematic of our country’s medical care, which is unnecessarily fragmented and bureaucratic, and overwrought with barriers to providing quality, affordable health care. In a single-payer health-care system, her employer would not be treated as part of the insurance-coverage system. One entity, such as the government, would have clear guidelines on what is covered. Single-payer improves health care in other ways. A colleague of mine recently cared for a young child with attention-deficit/hyperactivity disorder. She had to try three different ADHD medications before finding one that didn’t require expensive co-pays. This trial-and-error style of care wasted precious time for the doctor, her patient and the pharmacist. In a single-payer system, doctors would have one formulary of medicines to choose from for any given condition, for all patients. For a diagnosis such as ADHD, the formulary might have five medications covered for all children, instead of 18 medicines with questionable coverage. Imagine a health-care system where nobody is denied medicine based on their insurance. Single-payer would also address disparities in access to sub-specialists based on income. For instance, Medicaid patients have decreased access to sub-specialty care. With single-payer, we could eliminate these disparities: everybody, irrespective of their socioeconomic status, gets access to the same sub-specialists. Historically, physician lobby groups such as the American Medical Association have been staunch opponents of single-payer healthcare because they fear it would limit doctors’ autonomy and decrease physician salaries. This is probably true; single-payer would require a leaner system with fewer opportunities for interest groups, including pharmaceutical companies and physicians (particularly sub-specialists), to make a profit. This is where the moral question arises. Our country has noticeable health disparities by socioeconomic class, related to race and geography. A single-payer system that provides equitable care irrespective of these demographic factors paves the way to a more equal America. Decreased physician salaries and pharmaceutical profits are a small price to pay for such an important goal. This is especially true in the international context, as America has the highest prices in the world for pharmaceuticals and medical care. I am growing tired of practicing two versions of medicine: one for well-insured patients who receive all the doctor visits and prescriptions they want, and another for poorly insured patients who pay more out-of-pocket and work harder to get health care. If we want to address the moral crisis in our health-care system, it’s time we sign America’s much-needed prescription: single-payer now. Devesh Madhav Vashishtha is a family medicine resident physician at Swedish Cherry Hill in Seattle and a member of the American Academy of Family Physicians’ Commission on Quality and Practice.